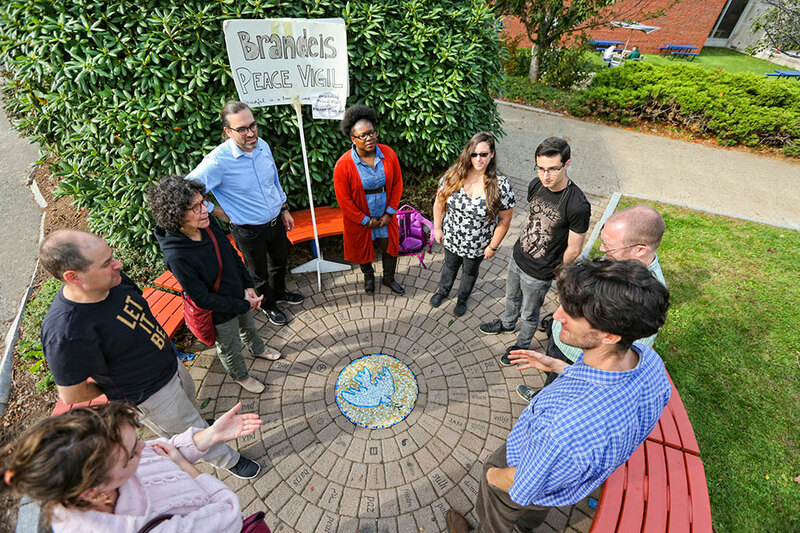 Building for Peace was a recognized club of the Student Union whose mission was to construct a peace monument on campus that would serve as a physical testament to the universality of peace and the diversity at Brandeis. The club was comprised of the students of professor Gordon Fellman's Sociology of Empowerment class and was funded by a grant from the Hewlett Pluralism Alliance and the Student Senate. The Brandeis University Peace Monument was first dedicated in May 2002. It is located in the circular seating area between Usdan and Pearlman and is surrounded by benches and a garden. In the very center of the monument is a beautiful mosaic of a dove — the international symbol of peace. 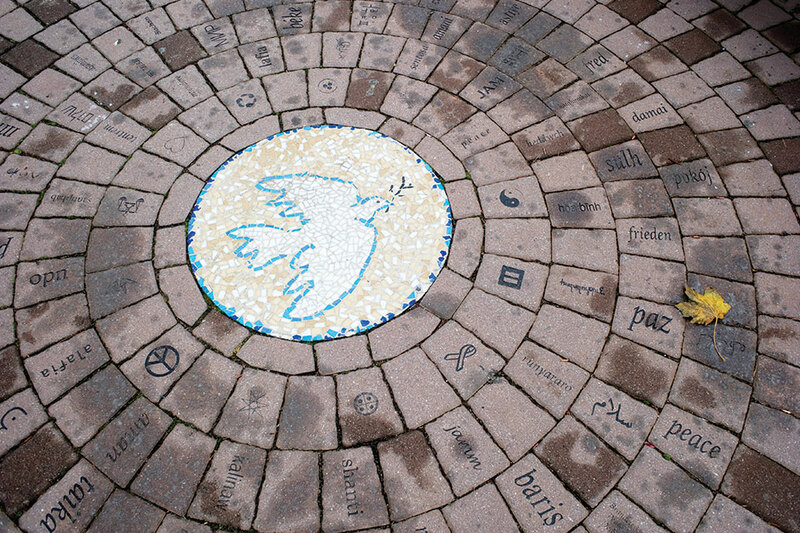 Encircling the mosaic are tiles engraved with the word "peace" in the languages spoken at Brandeis. There are approximately 40 different language bricks. Building for Peace set out to further the beauty and breadth of the Peace Monument by adding bricks and improving the garden. There are hopes to add approximately 20 more language bricks (including American Sign Language and Braille), various cultural symbols of peace, a dedication plaque and a "peace tree." Part of the financing for what we now call the Mandel Peace Garden, came from generous benefactor Jay A. Mandel '80 and his life partner, Jeffrey M. Scheckner, in memory of Jay's grandparents, Harry and Violet Mandel.